Welcome to Kostbar International Color! 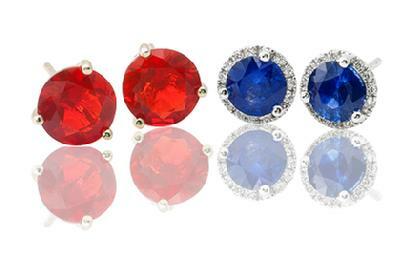 Shown: Fire Opal Stud Earrings & Blue Sapphire Halo Style Studs. Dedicated to the Trade only.